A Clubs Culture can easily be defined as the way they do things.How to develop a strong club culture has long been a mystery to community football clubs. There are many clubs that are known for their strong cultures, and some that have struggled to develop. Through TOP Club we now have a program and mechanism that is easy to use and simple to follow to get all clubs on the path to building a stong culture. A strong culture can be defined through a Vision and understanding of what the objective or purpose are, and a clear set of values that guide the acceptable behaviours within a club. Top Club engages club members in developing club values and identifying appropriate and inappropriate behaviour as part of developing a club plan for the year. The club plan assists the President and committee in identifying key tasks to be undertaken. The output of the session will be a 2-3 page plan that clearly articulates to the club the purpose, vision, values, behaviours, objectives and actions to be adopted by the club. The philosophy of Top Club is that the better a club is in its overall affairs (people development, coaching, administration, governance, processes, etc.) the better the club will be overall. The better a club is overall, the better the club will be in managing behaviours, including the behaviour towards alcohol (a key element to the initiative). of behaviour standards and consistent practice of the behaviours. TOP Club report is developed and used as an annual Operations plan featuring the Clubs Vision, Purpose, Values and Behaviours along with prioritised actions to complete. 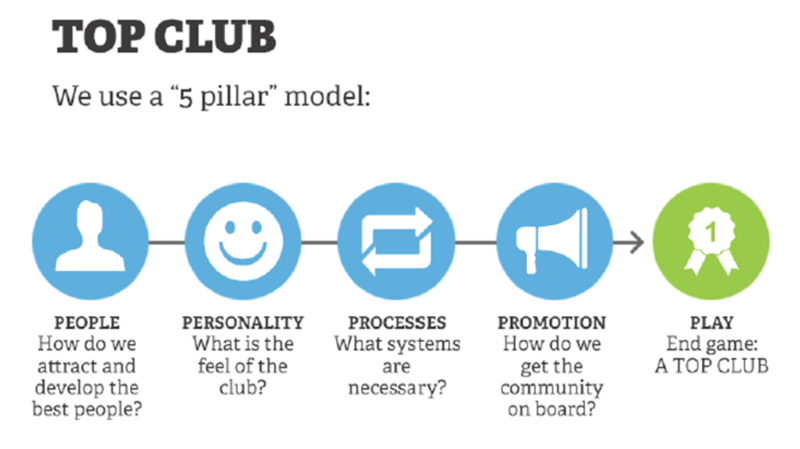 Once a club has gone through the facilitated session that they can resend a member survey at any time, access club development resources, reassess their vision and values on an ongoing basis. The TOP Club program has been developed by the WA Sports Federation in conjunction with several sports in WA. The overall aim is to build better cultures in clubs that will help to tackle some of the societal issues with the consumption of Alcohol. Please contact your District or Regional staff member if you are interested in participating.